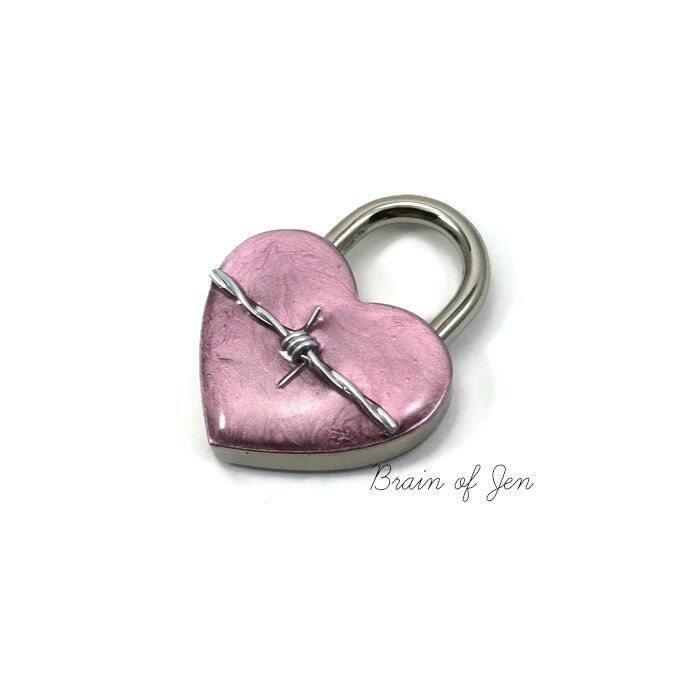 This cute and original padlock makes the perfect addition to any submissive collar! 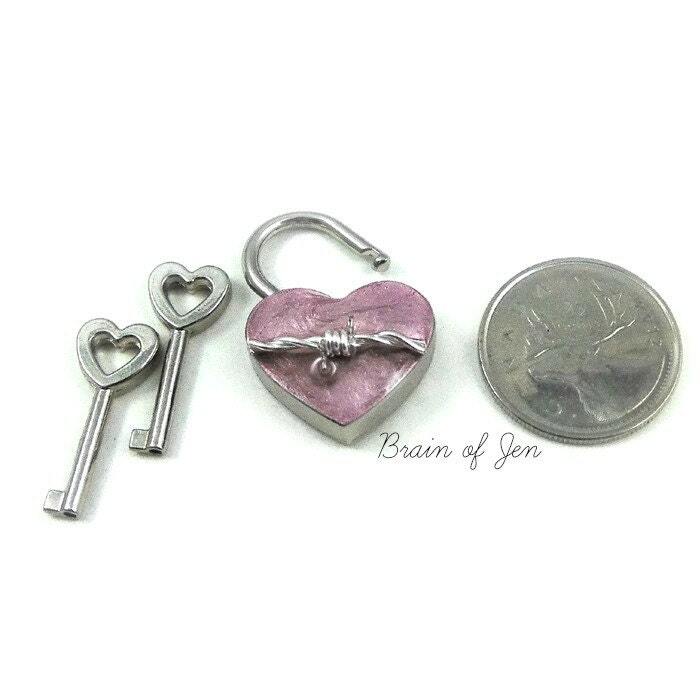 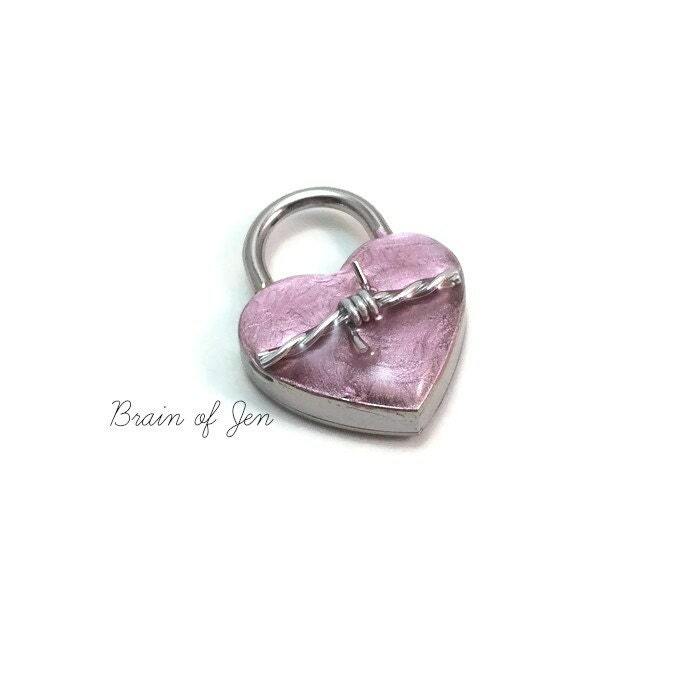 The heart shaped nickel silver lock is polished to a mirror finish on one side and painted on the other in a beautiful shade of shimmering cotton candy pink and adorned across the middle with a small length of silver barbed wire. 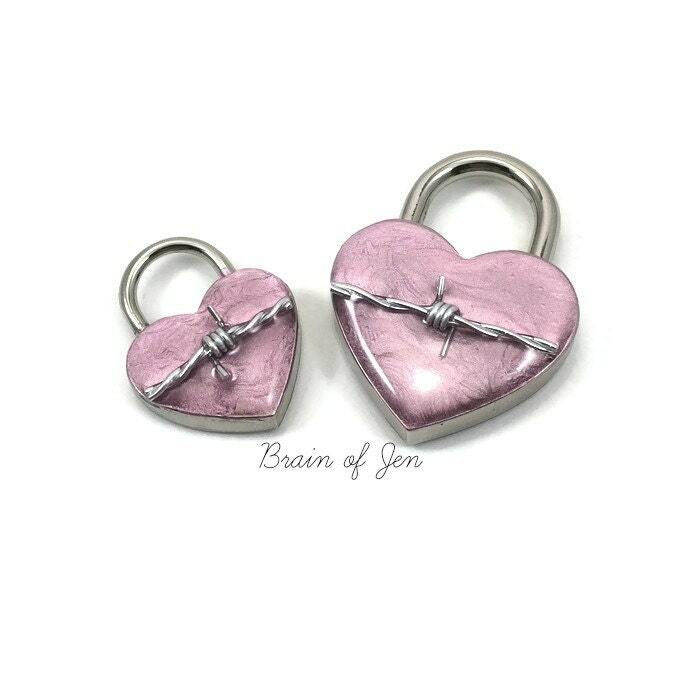 Please note that this is *actual* barbed wire, and while the ends have been filed, it can still catch on fabrics, and will leave marks if pressed against the skin. 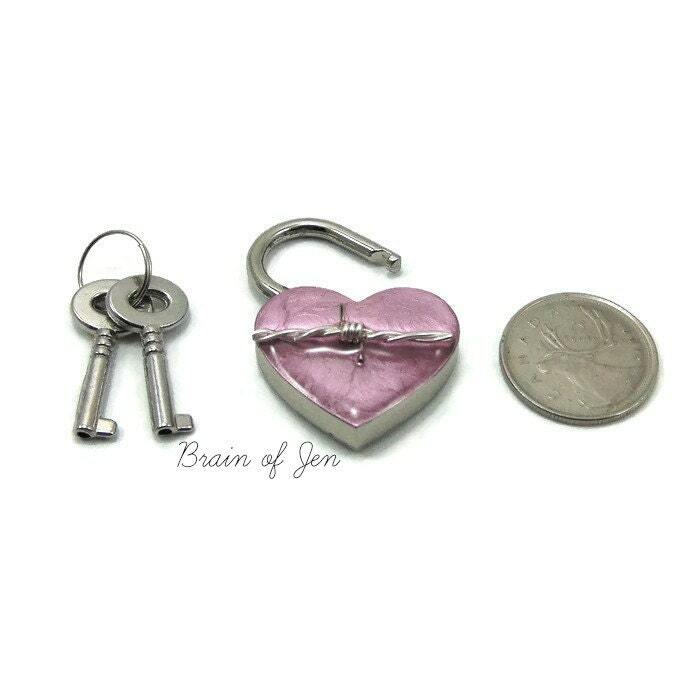 Please exercise caution!